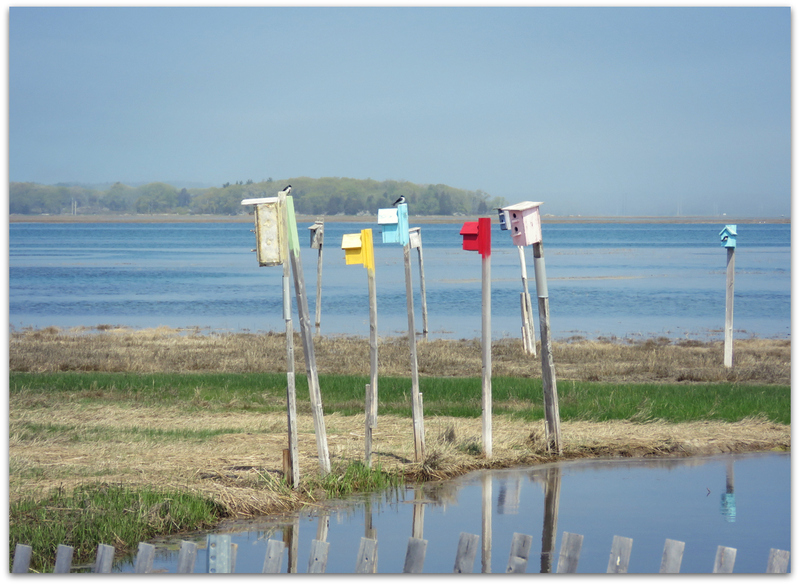 Nest box off Cross Beach Road, Seabrook Beach, Hampton-Seabrook Estuary. Took a ride out there on Sunday morning. 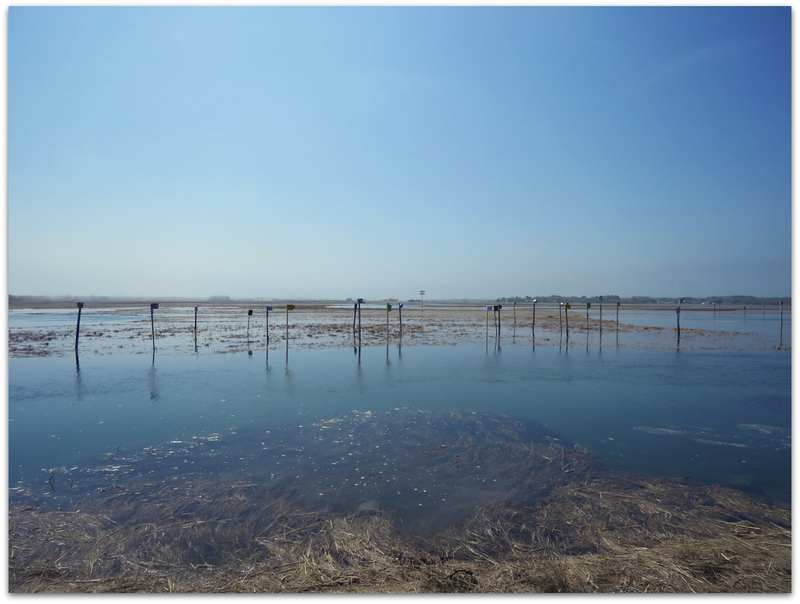 On the north side of the road out into the marsh, colorful nest boxes and mostly tree swallows. 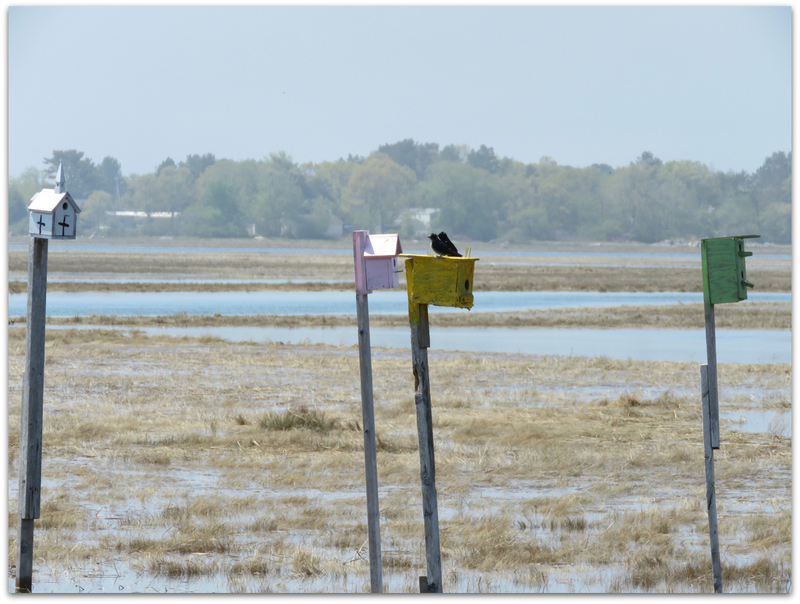 On the south side of the road, more nest boxes and a purple martin gourd rack. Volunteers affiliated with New Hampshire Audubon put up the rack last year, after they noticed some martin pairs nesting in nearby boxes. 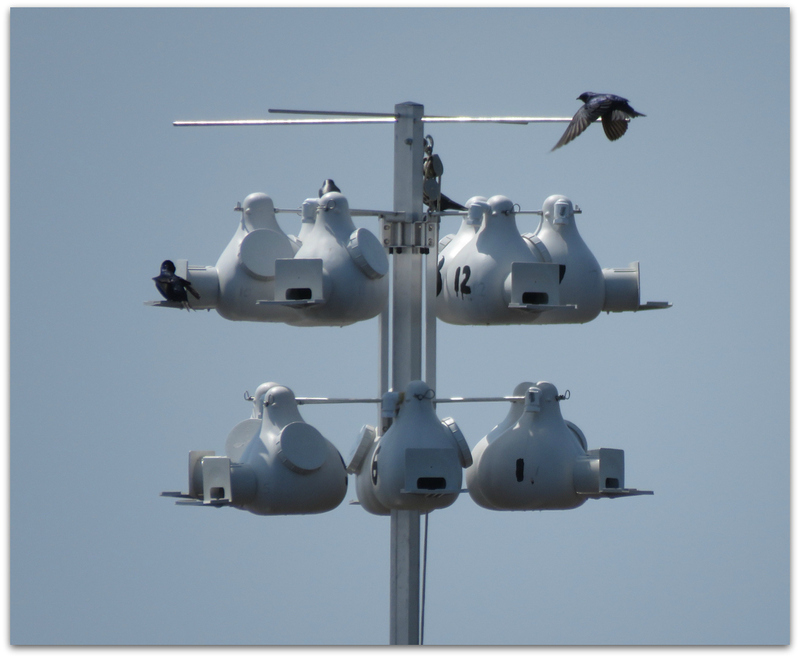 Looks like the purple martins are happy with their new digs. 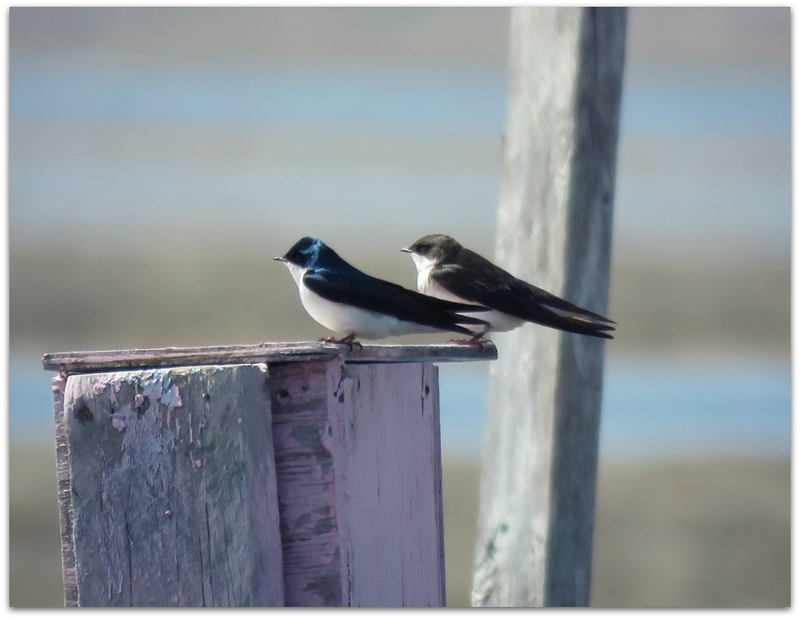 Some pairs still prefer their old seaside summer cottages. 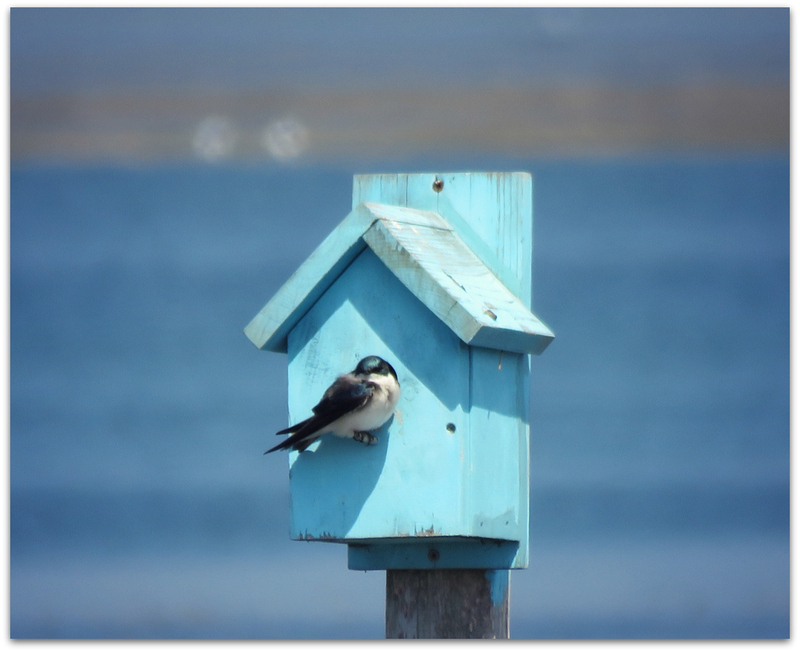 I admire the creativity of the nest box builder(s)! 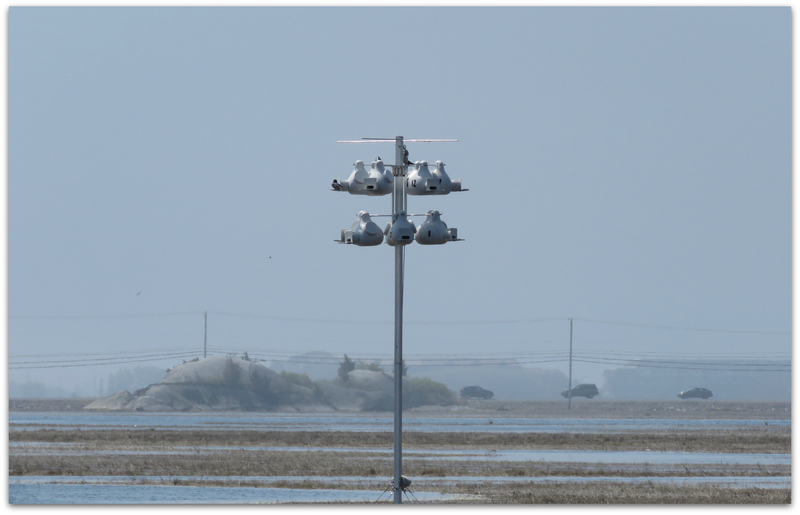 Avian bug control specialists, they are nice to have around if you live next to a marsh. 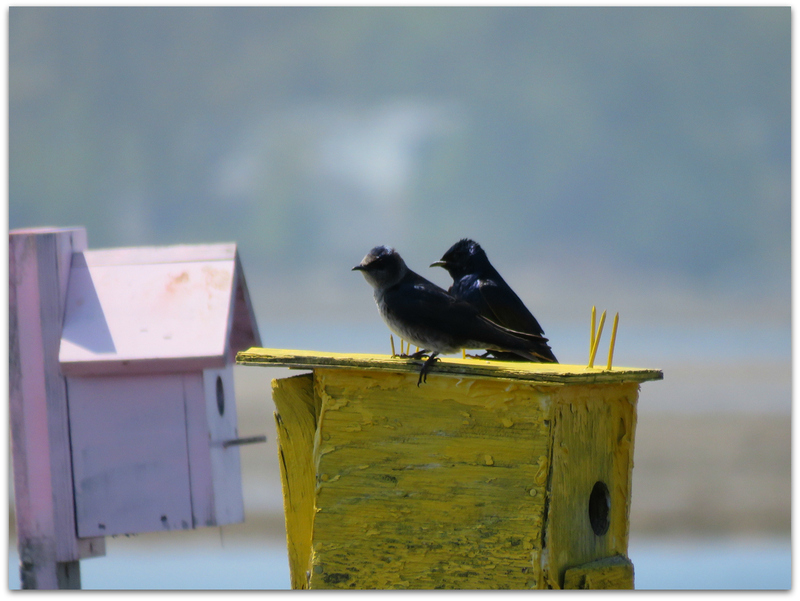 This entry was posted in Uncategorized and tagged gourd bird houses, Hampton-Seabrook Estuary, marsh, nest boxes, Purple Martin, Seabrook Beach, Tree Swallows on May 20, 2015 by Amy.